Stocks & Shares ISAs have been around for 20 years, but Brits aren’t really into them. According to the Financial Conduct Authority (FCA), only 17% of Brits are invested in a Stocks & Shares ISA1, and yet, holding an Investment ISA comes with many advantages. Investors living in the UK pay two taxes on their returns: Capital Gains Tax and Income Tax. 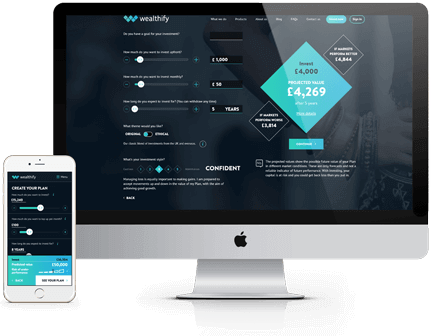 With a Stocks & Shares ISA you can invest up to £20,000 and don’t need to pay UK tax on any returns you make. This means you get to keep more of your money whilst spending less time on your self-assessment tax return form! Opening a Stocks & Shares ISA shouldn’t be an intimidating experience. Robo-investing services take the hassle out of investing by doing the hard work for you. Not only will they build an investment plan that suits your needs, they’ll also do all the legwork in monitoring and adjusting your plan when needed. That way, you can spend more time doing what you love, whilst letting your money work tax-efficiently. Despite a general increase, cash savings rates remain low in the UK, mainly under 2%2. And yet we Brits are creatures of habit and keep pouring our money into Cash ISAs. In 2017/18, there were around 8 million ISA accounts sat in cash and just 2.8 million Stocks & Shares ISAs3. Putting money in an easy-access savings account is a sensible thing to do in case an unexpected bill shows up, but favouring Cash ISAs for all of your hard-earned savings may undermine your money’s potential in the long run. Indeed, with inflation comfortably hovering above the Bank of England base rate, the value of your savings is probably decreasing in real terms. As long as that continues, your long-term financial goals will remain a distant dream. With investing, you don’t get paid a fixed interest rate. Your returns depend on how much your investments are worth when you sell them. Yes, there’s a risk you could get back less than you initially put in, but there’s also a chance for inflation-beating returns over the long-term. It’s even possible to help your money grow and do your bit for the future. How so? Simply choose to invest ethically. Your money will be invested in companies that are committed to having a positive impact on the environment and society. The good news is that ethical investing doesn’t even have to mean lower returns. In fact, many studies show that ethical investments tend to perform as well as other investment types. One key benefit of holding a Stocks & Shares ISA is that you can move it from one provider to another. ‘What’s the point?’ you ask. If you’re disappointed with your returns or think your fees are too high, transferring your Stocks & Shares ISA to a new provider could help make your money work harder. If you have two or three older Stocks and Shares ISAs with different providers, transferring them all to one place will mean you only pay one set of fees. If you’re moving an ISA opened in previous tax years to a new provider, you can transfer as much as you want, and it won’t count towards your ISA allowance. Whatever you do, use the official ISA transfer form to retain the tax benefits.